In a former life, 20 North Bridge was the home of the Advertising & Notices Dept. of the famous Scotsman Newspaper- the bustling, beating heart of the publication. Over 50 years later, the new owners have started a new story in this space, with the Grand Café. 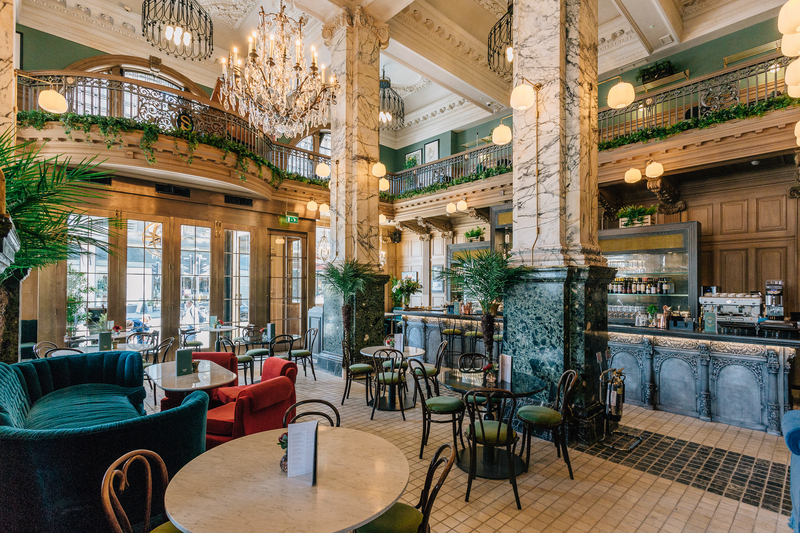 The Grand Café of today is a stylish brasserie which serves up delicious plates and smart cocktails until the wee hours. There is no better place to enjoy a tipple or two whilst taking in the breath taking views of Scotland’s capital city. 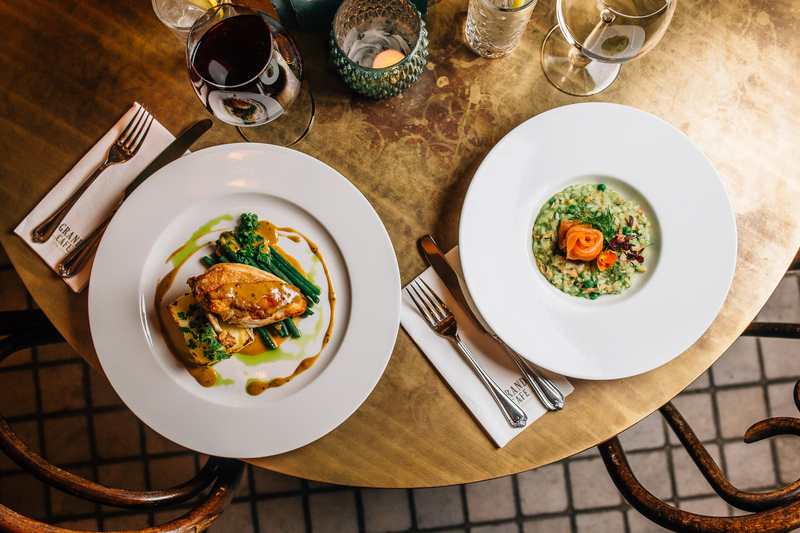 With Valentine’s Day fast approaching, treat that special someone to a carefully crafted meal in this stunning brasserie setting. Expect a menu made up of Jerusalem Artichoke Velouté, Ayrshire Pork Belly and a Sharing Assiette of Chocolate dessert.